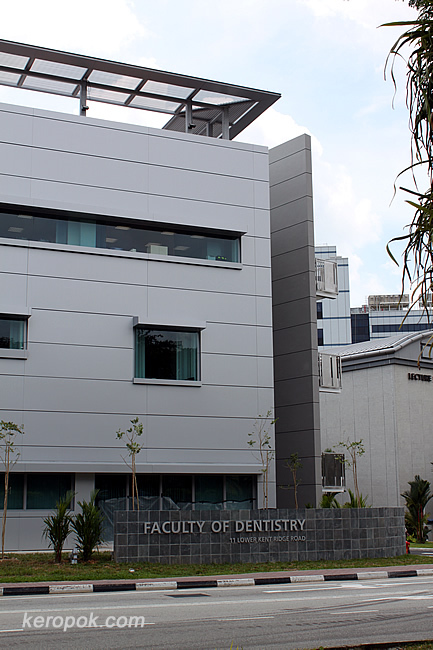 The Faculty of Dentistry has a new building in NUS. It looks very modern from the outside! Reminds me that I need to visit the dentist soon though. I don't really like visiting the dentist. Do you? I must say the construction was pretty fast! Guess lim peh is one of the weirdos, I like to visit the Dentist. thanks to engineers! i thin this building came up in 6 or was it 9 months! why ah? i think i for phobia of dentist when i was a kid! arrghh... run.. dentist is here! i'm afraid of the dentist too.. since primary 1. it felt like death sentence when we're called up by the dental nurse in school.